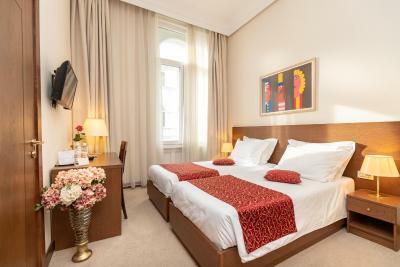 Lock in a great price for Palace Hotel Zagreb – rated 8.8 by recent guests! 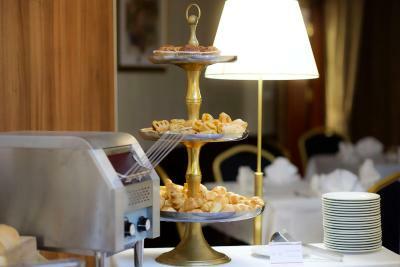 The location, the quality of facilities and breakfast. Staff are very helpful. The staff were very accommodating. Location was great. 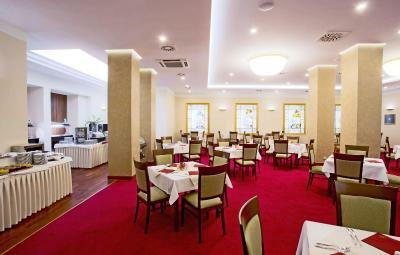 A very convenient location and lovely heritage hotel, good food and service - will definitely visit again. I believe it has also just clocked up a 111 years, great going, plenty more hopefully. 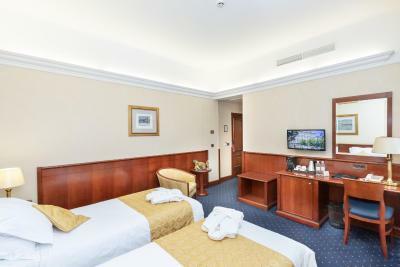 This hotel is across from the park and a very short walk less than 10 minutes from the train station. 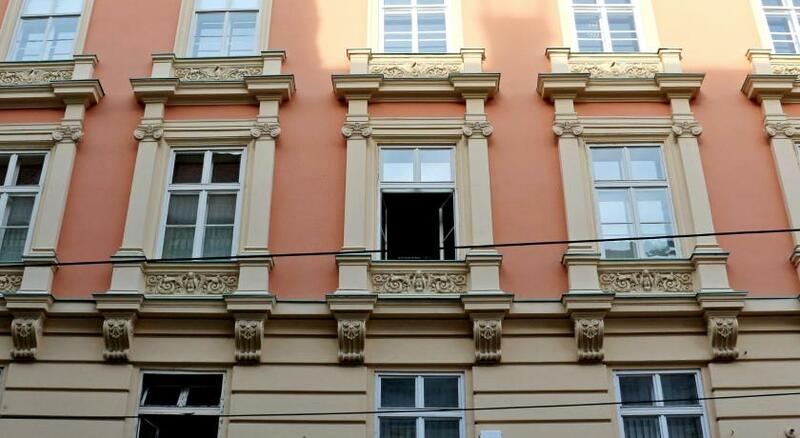 Close walking distance to all major sights in the old town and many restaurants. 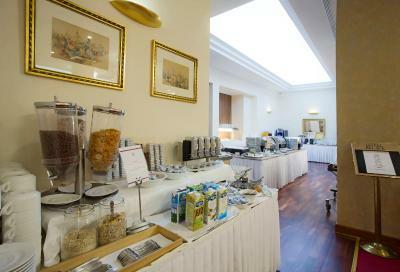 Breakfast was lovely- fruit, yogurts, meats cheeses, all cereals and hot foods as well. In a renovated historic property. My wife was not feeling well when we arrived, and the people at the front desk went to extra effort to allow us to check in a little early. 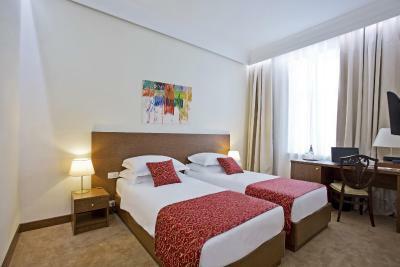 The room was clean and quiet, the breakfast was excellent, the location was perfect, and our room rate was very good value. The best room ever!!! Darko and Katarina very helpful and friendly. We ❤️❤️❤️ them! 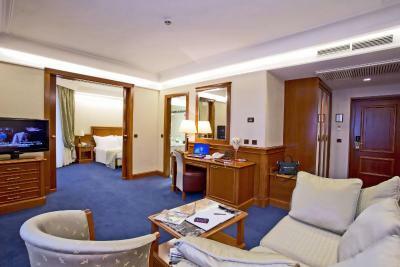 If you stay here, try to get the Diplomat Suite! 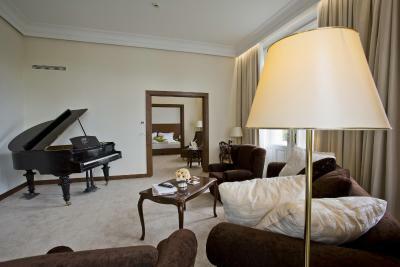 There is a grand piano in the suite (although it’s sorely out of tune), but you also get three nice balcony windows which give you a great view of Zrinjevac Park. 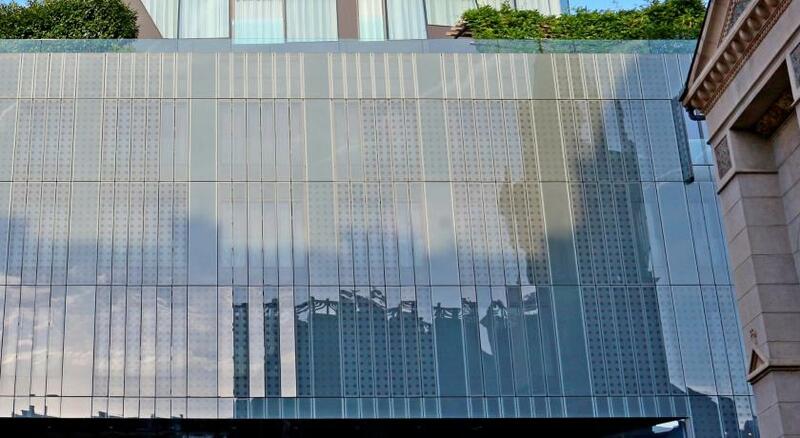 Fantastic location that is close to good food and shopping — closer than the Esplanade which is the other hotel I was considering. Staff is also very nice and accommodating. 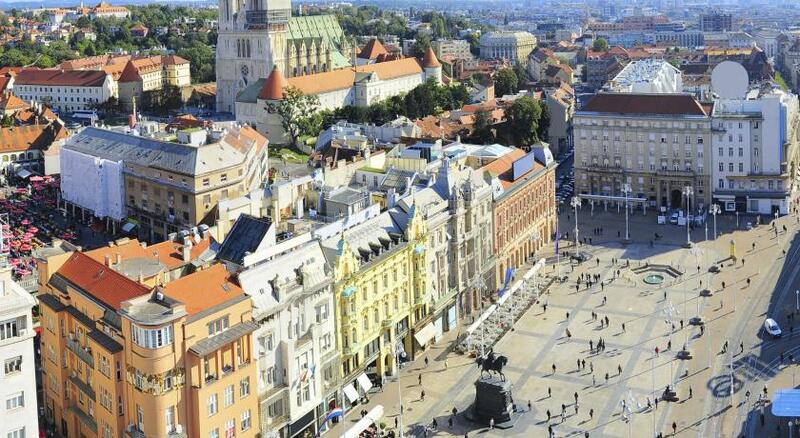 I had a 5 hour layover in Zagreb on my way back home from Split today and they let me keep my luggage at the hotel while I walked around for a few hours to explore one last bit of Croatia! Finally, highly recommend checking out the Mei Wellness center inside the hotel. Prices are SO CHEAP compared to American massage and mani/pedi prices. I got a massage during my stay and it was a great use of $40 USD for a 60 minute massage! There was a good selection of food for breakfast. Small but comfortable and clean room. Everyone on the staff was friendly and helpful. 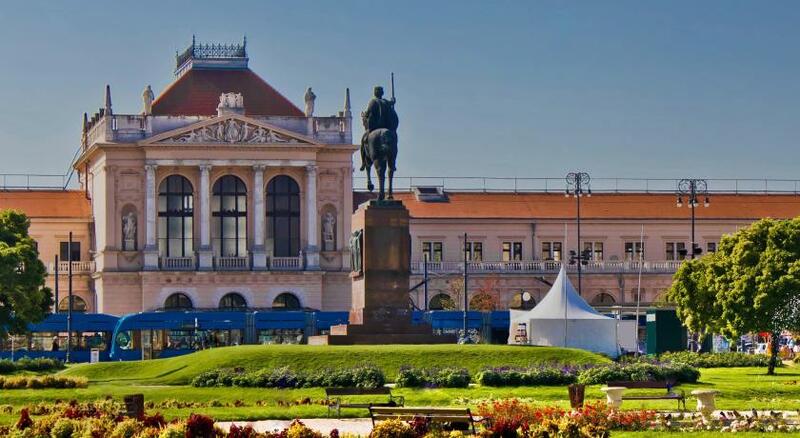 Excellent location for seeing Zagreb. The breakfast is great! The location is wonderful-- within walking distance of the old downtown and just across from a park. It felt very safe and lively but not noisy. I slept with my window open! Beautiful heritage building! Good location and friendly staff. Great breakfast with so much variety. Parking available for 10 euro per day. 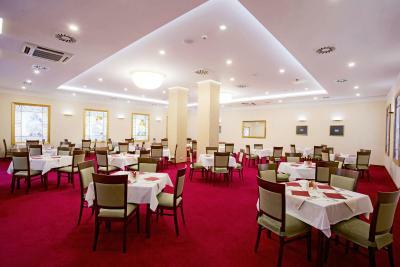 Palace Hotel Zagreb This rating is a reflection of how the property compares to the industry standard when it comes to price, facilities and services available. It's based on a self-evaluation by the property. Use this rating to help choose your stay! 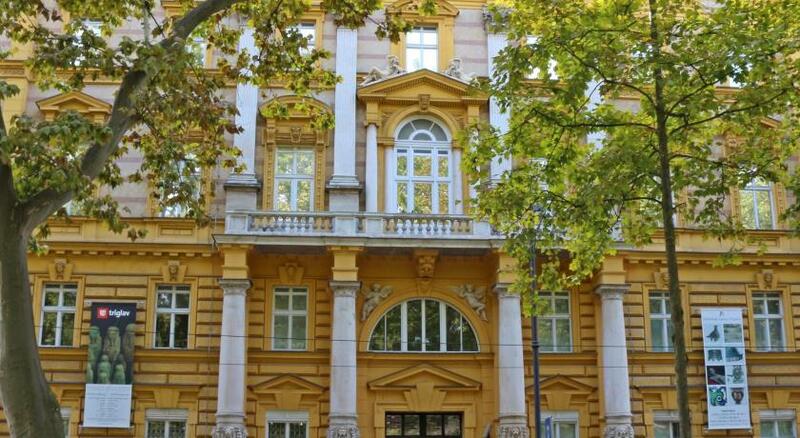 One of our top picks in Zagreb.Enjoying a superb location in the center of Zagreb, the traditional Art Nouveau Palace Hotel Zagreb offers warm, familiar atmosphere, excellent services and highly skilled, attentive staff. 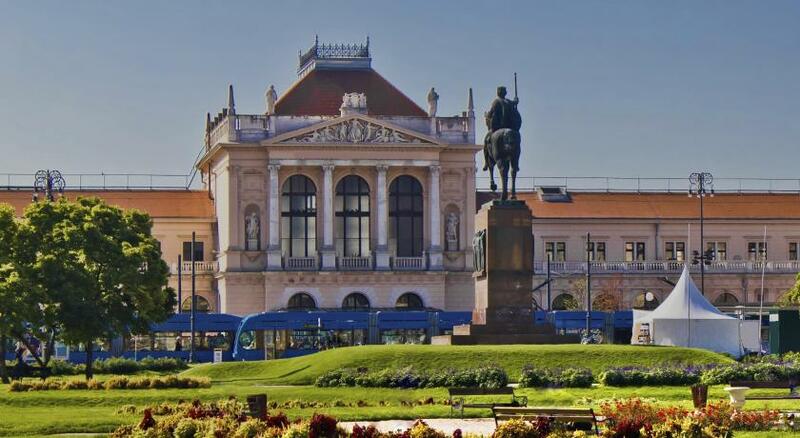 Overlooking one of Zagreb's most beautiful parks, the hotel is only a 5-minute walk from the main city square Jelačić Square and the historical core of the city. 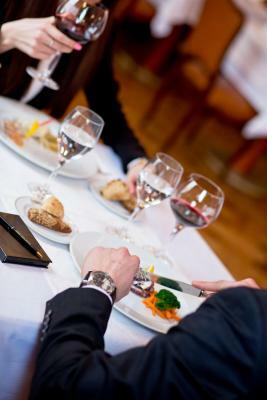 Sample international and local cuisine at the restaurant, with an accent on local specialties, created by the hotel’s chef de cuisine. Free use of the on-site fitness center is offered. The parking can be reached in 492 feet, is available at a surcharge and reservation is not possible. Zagreb Airport is 9.3 mi away. 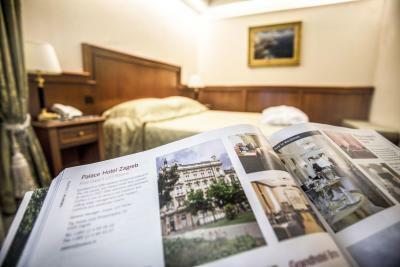 When would you like to stay at Palace Hotel Zagreb? 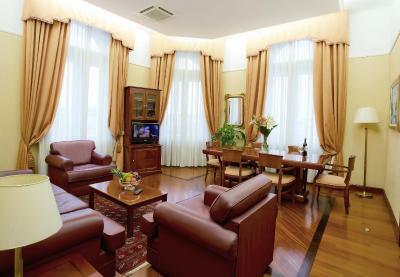 This air-conditioned room features satellite TV, a sofa or an armchair, a coffee maker, mini-bar and a safe. 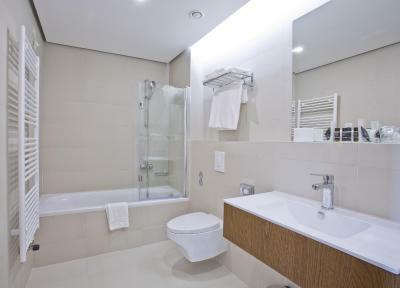 It includes a bathroom with a shower, bathrobe and slippers. 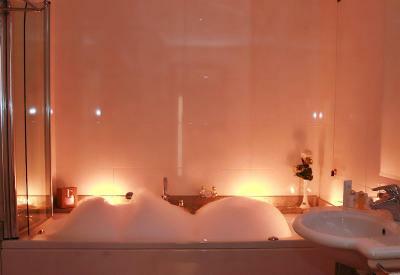 This elegant suite features a living room and a bathroom with spa bath. 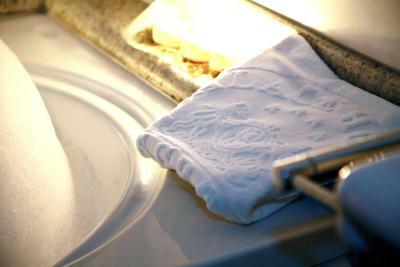 Amenities include air conditioning, cable TV and a safe. This spacious room features a mini-bar. 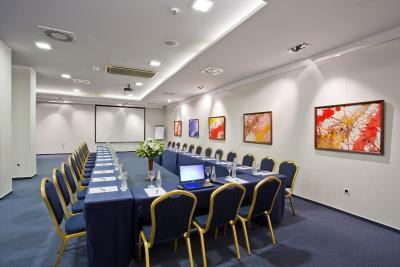 Amenities include air conditioning and cable TV. 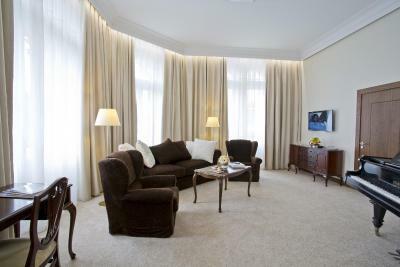 This elegant room features a mini-bar. Amenities include air conditioning and cable TV. 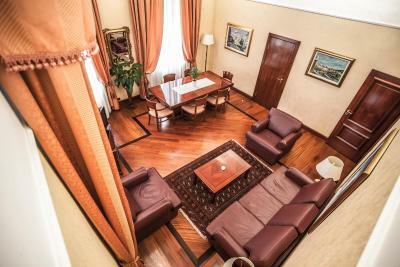 This suite has a balcony that overlooks the city rooftops, DVD player and air conditioning. 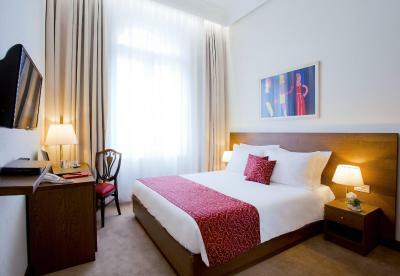 This twin room features air conditioning, mini-bar and satellite TV. 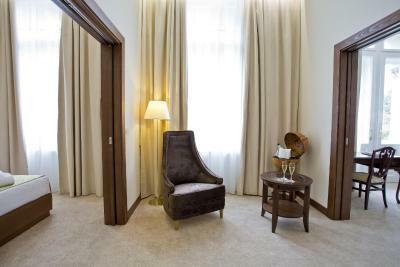 This twin room features air conditioning, satellite TV, a sofa or an armchair, a coffee maker, mini-bar and a safe. It includes a bathroom with a shower, bathrobe and slippers. 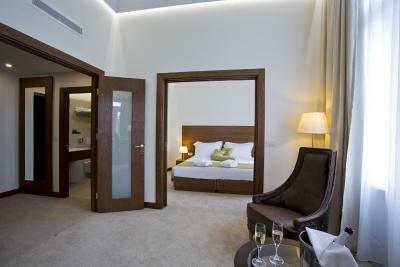 This single room features air conditioning, a sofa or an armchair, mini-bar, a safe and satellite TV. 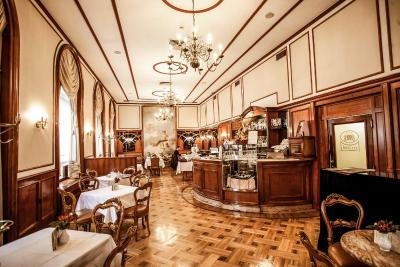 The Palace Hotel Zagreb, located in the centre of the palace immediately next to the old city park, opened its doors in 1907 as the first official hotel in Zagreb. 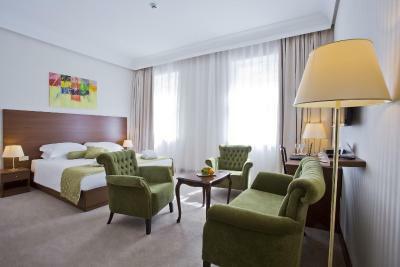 The hotel successfully combines the comfort of a modern lifestyle with a warm retro-chic atmosphere created by its stylish furniture and modernist interior. 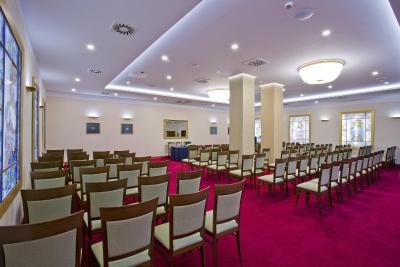 The Palace Hotel Zagreb is the ideal choice for guests who visit Zagreb for business, as well as for tourists at particularly favourable accommodation prices. 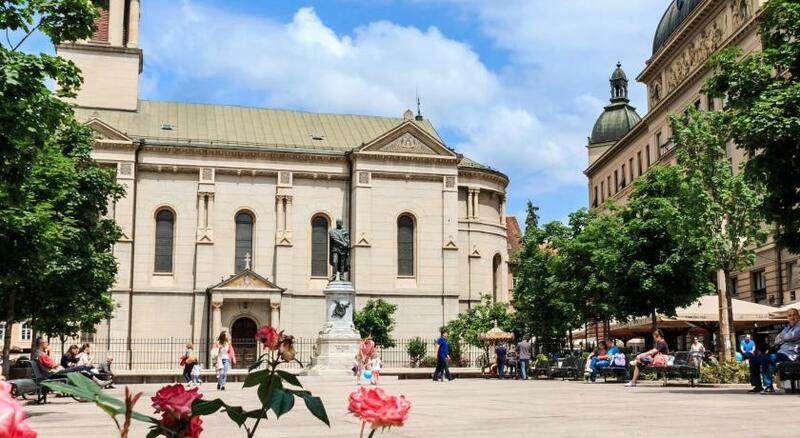 Our concierge will provide all the information you need to discover Zagreb’s culture and art. 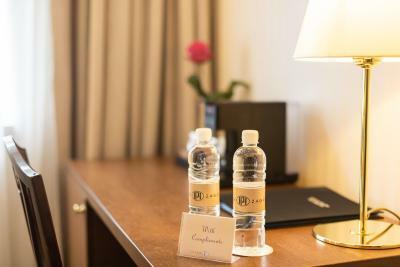 Our staff will gladly organize additional requests, booking tickets and similar tasks in order for our guests to enjoy as much free time as possible. 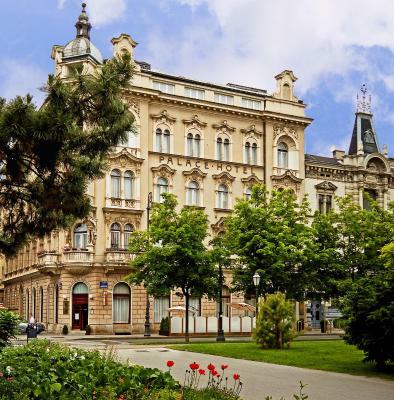 Hotel surroundings – This neighborhood is a great choice for travelers interested in architecture, old-town exploration and museums – Check location Excellent location – show map Guests loved walking around the neighborhood! 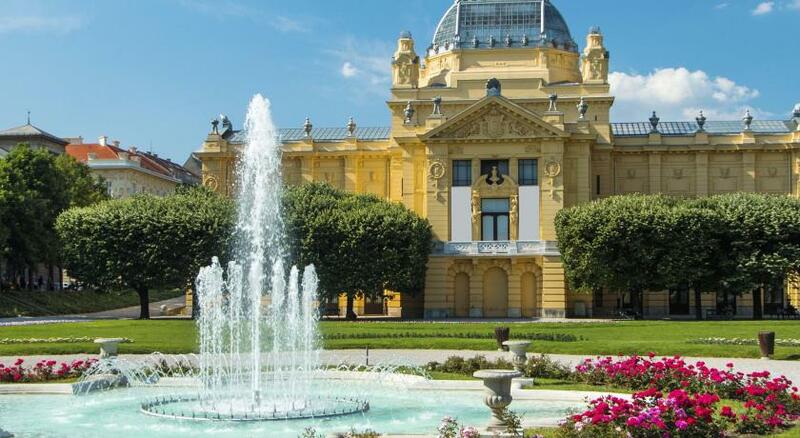 House Rules Palace Hotel Zagreb takes special requests – add in the next step! 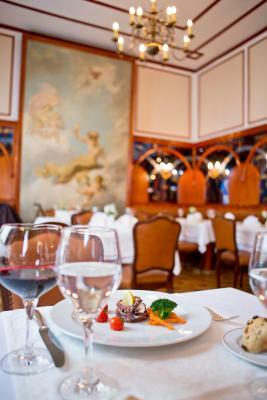 Palace Hotel Zagreb accepts these cards and reserves the right to temporarily hold an amount prior to arrival. Hotel is accessible for disabled people but has no wheelchair ramp. 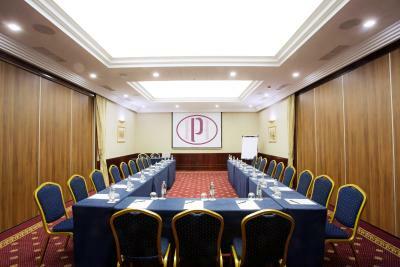 When booking 5 or more rooms, the hotel reserves the right to apply different cancelation and prepayment policies. There was nothing except minor issue in dropping luggages which need prearrangement. Construction on 3rd floor but not on the weekend. 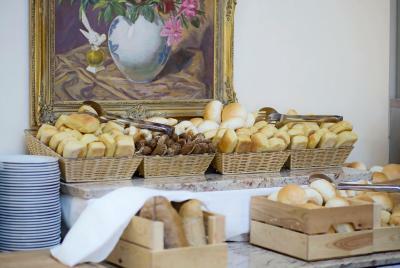 Breakfast buffet was outstanding! Fresh breads,local favorites,and vino! Good quality for your money. Did I say the cost was free with the room? A historical gem! The room cleaning service was poor. Even after we complained (bin not emptied, cups not cleaned), on the other day we had to complain again because the carpet was not vacuum cleaned. The staff was very king and helpful. 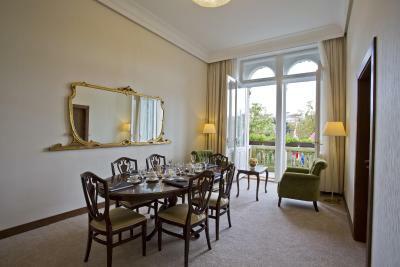 The location is just perfect right in front of a park and next to the very centre of the city. 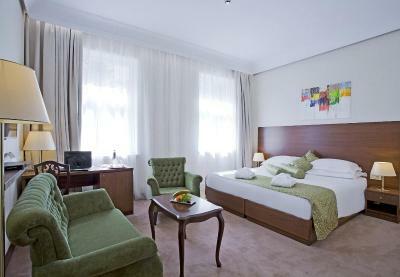 Another positive is that the hotel provides baby cribs with baby linens and kids chair is also available. Everything was better than expected. The staff could not b more welcoming and friendly. The shower partially flooded the bathroom. The staff was very friendly and the hotel was gorgeous. Parking details was not made clear. Very friendly staff at check in. Helpful. Good breakfast selection . 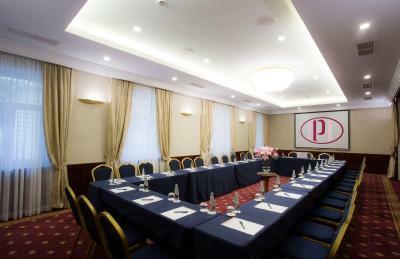 Lovely room.